I heard Coach Sobotka was moving on. Anyone know about this, reasons, replacements, etc? I heard it too from a source I trust. Don't know any more than that. Really it was a matter of time before one of the staff moved on. It's the nature of college basketball. Valcheck had something to do with it. We are very pleased to announce today’s hiring of Joel Sobotka as Valley Catholic’s new Athletic Director and Head Boys’ Basketball Coach. Joel will finish his work at UP on May 30th and begin his athletic director’s and coach’s duties at Valley in June. We are thrilled to add to our staff a person of Joel’s great experience and accomplishment. Best of luck to Coach Sobotka in his new role. Best of luck to Coach Sobotka... his new position will also be a challenge, but also a lot less travel and longer-term stability. Coach Sobotka has been no small part of the rise of the program; I wish him the best, and thank him for all he has done. It is also good that he is hanging around town. His work will be successful at Valley Catholic. PORTLAND, Ore. --- Joel Sobotka, who has spent the last six seasons at the University of Portland as an assistant coach to Eric Reveno, has accepted the position of Athletic Director and boys basketball head coach at Valley Catholic School in Beaverton, Ore. Sobotka will continue his duties with Portland through the end of May before transitioning to his new position in June. “The last six years have arguably been some of the best in University of Portland basketball history and Joel Sobotka's contribution during that time has been unmatched,” Reveno said. “Valley Catholic is gaining an excellent administrator and a coach committed to developing the whole student-athlete. While his expertise, support and friendship will be missed, we wish him all the best." Reveno hired Sobotka to join his staff shortly after being named the program’s head coach in April of 2006. Within three years the program posted a 19-win season and then ran off the best three-year stretch in school history by averaging 20 wins per year from 2009 to 2011. Over the last six years Portland has made three postseason appearances, earned a Top 25 national ranking, and knocked off four ranked opponents. 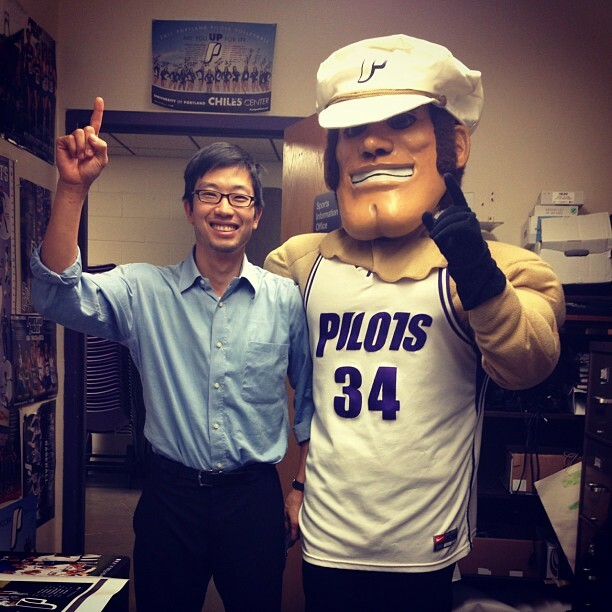 The Pilots have also graduated all 14 seniors with 11 West Coast Conference All-Academic awards being earned. 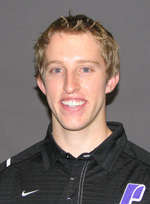 Sobotka was previously the head coach at Portland State University for four years (1998-02) and served as an assistant coach at Cal State Northridge for three years before joining the Pilots. He has also served as an assistant general manager with the Harlem Globetrotters and a graduate assistant at Arizona State. A 1993 graduate of ASU, Sobotka began his coaching career as an assistant coach at Eastern Oregon (1993-95). He now takes on a different challenge as a full time administrator and coach with Valley Catholic. The Valiants compete in the Oregon State Athletics Association 3A Classification in the Lewis & Clark League. Valley Catholic High School fields OSAA teams in volleyball, cross country, soccer, football, basketball, swimming, dance, baseball, softball, tennis, golf, and track and field. The school is currently the top ranked 3A school in the Oregonian Cup, which ranks schools on athletics and activities. The Valiants have won the state title this year in boys cross country and dance (third straight), finished second in girls basketball, while the boys basketball team finished sixth at state. In addition to the high school, Valley Catholic School includes the Early Learning School (infants 8 weeks old thru Pre-School), Elementary School (KG - 5th grade) and Middle School (grades 6- . Do we stay with two assistants and give them a pay bump? Do we bring in a "3rd" assistant who is young, eager, starting out? Or, do we go for an experienced know entity who can recruit like gangbusters and be the assistant head coach? (Oh yea, and do we need an AD before making these decisions)? Hmmmm, a bit of trend starting – Reveno has another protégés moving on to his own gig. Remember this guy? 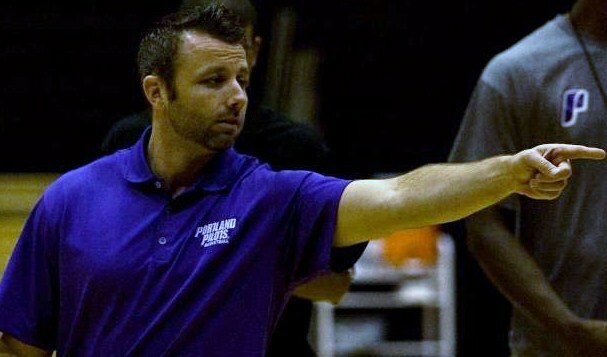 PORTLAND, Ore. --- Alex Kirk has been named the director of basketball operations for the University of Portland, head coach Eric Reveno announced on Wednesday. Kirk spent the last two seasons as the team’s head manager and graduated from Portland in May of 2009 with a degree in organizational communication. 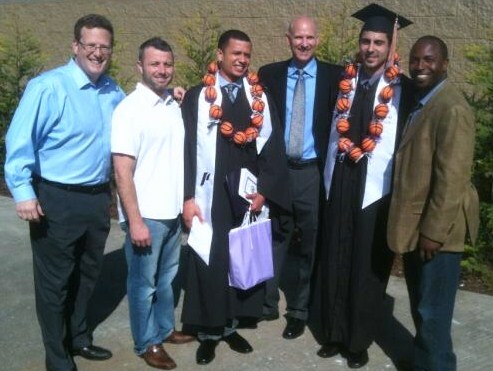 Well, that was in 2009, now Alex is the head basketball coach at Clark College in Vancouver. Congratulations Alex! My guess is that Colin would get promoted. Seems to be the way a lot of director of operations guys transition into more coaching specific roles. oldtimer wrote: My guess is that Colin would get promoted. Seems to be the way a lot of director of operations guys transition into more coaching specific roles. Hmmm, hadn't thought of that one, but I guess it could happen. Lately though, Director of Basketball Operations has become a "career" in itself. Two examples are, 1) Josh Jamieson who's been the DBO at UO for 5 years after two years as an assistant at UP, and 2) Lance LaVetter who's been the DBO at UW for 10 years after having once been an assistant women's coach at UP for two years. Two more graduates Sunday, both with opportunities to play in Europe - a lot better than looking for a real job. Great opportunity for Coach Joel moving to Valley Catholic, but you never know, we may see him again one day. Congratulations to Colin Pfaff on his promotion from Director of Basketball Operations to Assistant Coach! "Mozambique" Marshall Cho is new Pilots DBO! Accepted director of basketball ops position with University of Portland. Looking forward to learning from great staff led by (Coach Reveno). Some of you may not know of Marshall, but I assure you, he is a great hire. Originally from S. Korea, he immigrated to Springfield, Oregon and graduated from UO. Until today Marshall has been the Assistant Basketball Coach at DeMatha Catholic High School in DC, but that’s really only part of the story. I learned Marshall is the eldest of three children born to his Korean immigrant family. The family moved from Seoul to Springfield, Ore., (yep, there really is a Springfield in almost every state in the union) in 1986. He didn't care that he was a vertically challenged, newly transitioned immigrant kid -- he had a basketball jones! His effort to improve his game was undeniable, and he became the captain of his varsity hoops team for his senior year. He had no delusions of playing college ball, and he flung himself into his studies as an accounting major at the University of Oregon. In 1999, serendipity smiled on Marshall when he saw a Teach For America brochure on a table in the school's career center. 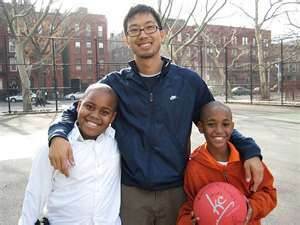 His first assignment for TFA was a stint as a middle-school math teacher in the Bronx, N.Y., for three years, and then he taught in Harlem for three more years. He played pickup games in an Asian-American league in New York and occasionally played ball at some of the famed parks in the city, which allowed him to satisfy his obsession with the game. An unexpected opportunity arose for him to coach the eighth-grade boys' team at the Bronx school, and he found himself running the drills and schemes he gleaned from his high school coach. He also realized he had begun to know his students on a much more personal level; basketball was a bridge for other conversations that never would have taken place in the classroom or school cafeteria. Cho then married and moved to Mozambique -- which spurred him to thinking about getting involved with the game abroad. There's gotta be some ballers in the Moz, he thought. He fashioned a makeshift hoop and court in his backyard, and it it quickly became the place to gather and hang out. He couldn't resist the urge to teach the game to the young kids who knew soccer but not hoops. Cho also got a chance to work with Basketball without Borders at a camp in Johannesburg, South Africa. In addition, he met with basketball officials from Mozambique and was given the opportunity to become a part of the national team coaching staff. While coaching, Cho met a young man named Issufo Gulamo Amigua. He quickly realized that Issufo had a basketball jones as well. The two formed a deep bond because of a ball. Eventually, Marshall asked his wife to prepare a room for Issufo in their home in Maputo, Mozambique, where they are helping put Issufo through the American International School. Marshall now is basketball coach, father figure, teacher, mentor and disciplinarian for Issufo, who might endeavor to come to the United States someday to study agriculture. Maybe a ball will be his ticket. I think we're going to love this guy, and more importantly, I think the entire community will too!!!! BEAVERTON – Joel Sobotka is ready to take Valley Catholic athletics to new places. And it all happened because he finally decided he was ready to settle down. Sobotka, the former head men’s basketball coach at Portland State, was introduced at the end of April as the athletic director and head boys basketball coach at Valley Catholic. Sobotka’s hiring – he hopes – will put an end to what has been the nomadic lifestyle he’s lived for most his adult life as a college men’s basketball coach. 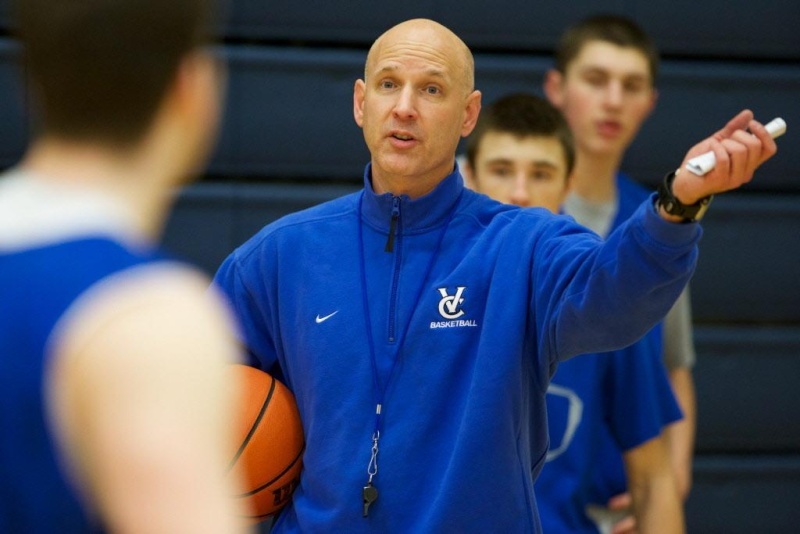 Sobotka, who most recently served six years as an assistant at University of Portland, said he’s thrilled to be at Valley Catholic and ready to put down roots. Sobotka, 41, succeeds Jeff Gallagher as both varsity boys basketball coach and athletic director. Gallagher served 10 seasons as the school’s head boys basketball coach, leading the team to the 2007 Class 3A state championship, and to sixth at state in each of the past two seasons. The Valiants, under Gallagher’s leadership, also won the Oregonian Cup for the 2011-12 school year, an award indicative of the school’s best-in-state success in athletics and activities. For Sobotka, the chance to settle in and work has already shown rewards, especially following his long travels through the world of college basketball. Sobotka served as head coach at PSU from 1998-02 (when he was the youngest D1 head coach in the country), then served as an assistant coach at Cal State Northridge for three before joining the Pilots. He has also served as an assistant general manager with the Harlem Globetrotters and as a graduate assistant at Arizona State. A 1993 graduate of ASU, Sobotka began his coaching career as an assistant coach at Eastern Oregon from 1993-95). What, Larry Brown is not Coach Sobotka's role model? Coach Rev has been railing about the absurd NCAA rules regulating the feeding of his players for a couple of now. just give them a bag of peanuts and provide the use of a peanut butter grinder mill. Totally legal, and it's better anyway. DoubleDipper wrote: Coach Rev has been railing about the absurd NCAA rules regulating the feeding of his players for a couple of now. He averages one tweet a day about cleaning up the NCAA rulebook. I feel for him. I saw a print version once and it's the size of a phone book. After 18 years of coaching college basketball, including four seasons as the head coach at Portland State and six as the lead assistant on Eric Reveno's staff at the University of Portland, Sobotka quickly decided to tackle a new set of challenges at the high school level. Thomas' phone call came about a month after UP's 2011-12 season, when Sobotka was heavily involved with recruiting. "The week before that, I remember sitting in mass on Easter Sunday and wondering, 'What's going to come next? Is this where I'm supposed to be?'" Sobotka said. "So I get this phone call and I'm sitting there listening and thinking, 'Wow, this is kind of eerie and pretty amazing.'" Because Coach Reveno is such a big presence in so many ways at UP, we tend to overlook the contributions the assistant coaches make on an off the court with the players and on the road recruiting. I've had the opportunity to watch Coach Eric Jackson at practice on multiple occasions and always come away impressed with his knowledge of the game and his ability to communicate with the players......and he can be very effective at making a necessary "attitude adjustment" in a student-athlete too. Coach Jackson was very positive and honest throughout the recruiting process, I give him a lot of credit for being straight up with Jason and our family. He also was relentless and I appreciated that. It was important to me that I could trust the staff, that they would have an 18-year old's best interests in mind, academically, spiritually and athletically. I personally feel great about all the coaches, Dan McGinty, Brad Scott, Rich Bennett, even Coach Sperry was awesome to talk to. It was the whole package honestly - kudos to UP. Pete Newell’s youngest son, Greg, is predicting Rev’s contract will not be renewed after this season. Personally, I’m not buying it. With some excellent guidance and a green light on recruiting travel from AD Scott Leykam and the university president, I see Rev and his staff sticking around. Nothing is for sure in D-1 coaching, and I don’t see UP competing with GU or BYU anytime soon, but I believe enough strides have been made for most UP supporters and administrators to recognize the positives achieved by Rev and his staff including the graduation rate and cumulative GPA at a school that demands excellence in the classroom. Other coaches on the precipice include USF’s Rex Walters (it could be in mid-season, IMO), LMU’s Max Good, PU’s Marty Wilson, and USD’s Bill Grier. It seems hard to believe there is no mention in the article of my second least favorite WCC coach, SCU’s Kerry Keating…..